The A1 symbol can tell you if the Micro-SD card is fast enough to run apps. Not only Android Smartphones can take advantage of Micro-SD cards for starting and running apps. The tiny cards are also popular in Windows tablets, convertibles and notebooks to expand onboard storage. 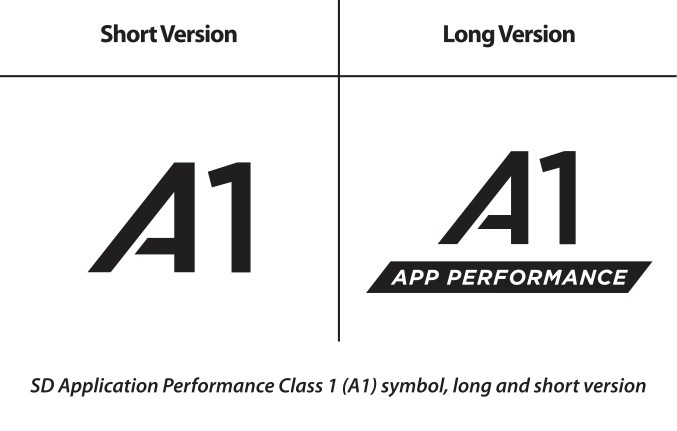 Future SD cards carrying the A1 symbol will easily be recognized as being fast enough for that task. That, however, does not mean that current cards without that symbol are not able to meet or exceed the above mentioned minimum requirements.